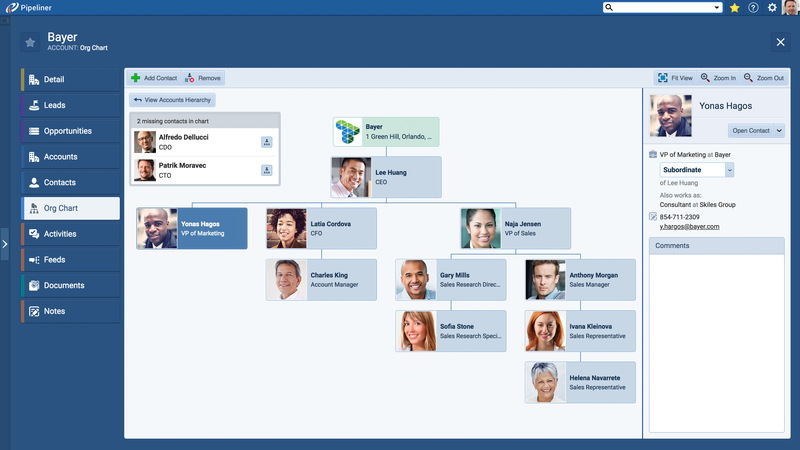 Our all-in-one Contact View allows you to see and manage your contacts like never before! 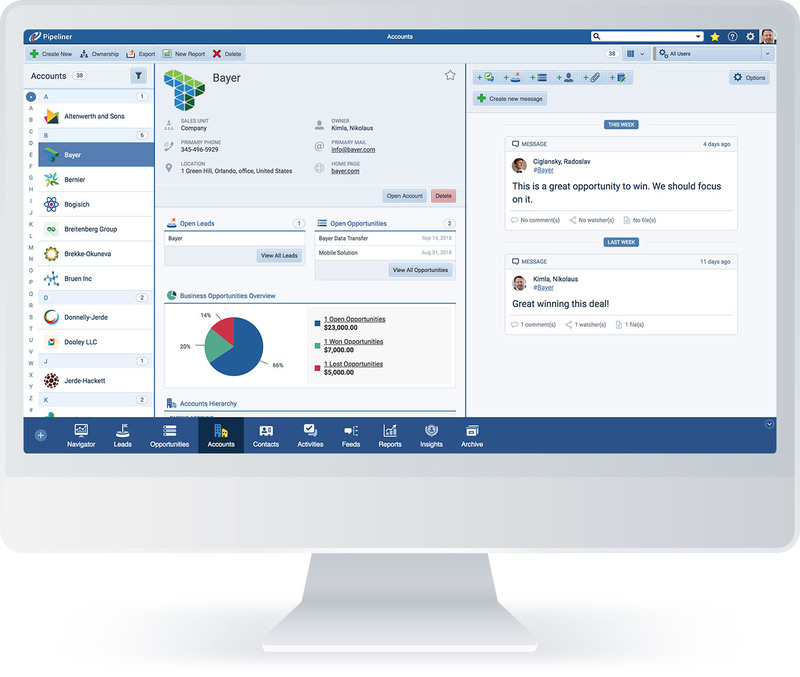 As with other functions commonly found in CRM applications, contact management within Pipeliner goes well beyond ordinary contact management—it is totally visual and dynamic. Pipeliner has made it as easy as possible to locate the information you’re looking for. From the account view, you can readily see all associated contacts and opportunities. From opportunities, you can view related accounts and contacts. Likewise when accessing a contact, you can immediately see the opportunities, activities, tasks, notes, social messages and email, and other information related to that contact—in one view. You can then click on any needed item within the contact for more data. Pipeliner allows you to connect any web page from an external web site such as Google Maps to a contact. From the contact, you can immediately send messages, and add opportunities, activities and documents to the contact view without ever leaving the screen. You can also associate activities and reminders to that contact, and set up email notifications to update you (or others associated with this contact) when events occur. And as with many functions in Pipeliner, the fields within the contact view are customizable. A contact can, in the real world, be related to more than one account. 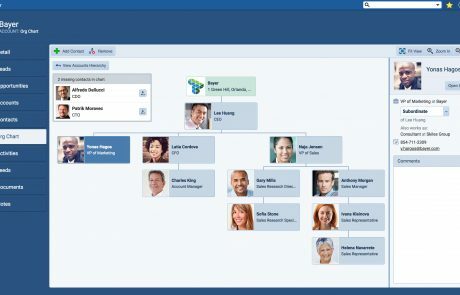 If this is the case, Pipeliner allows you to reflect that fact in CRM, too. In fact, we’re the only CRM that allows you to connect multiple contacts to multiple Accounts. 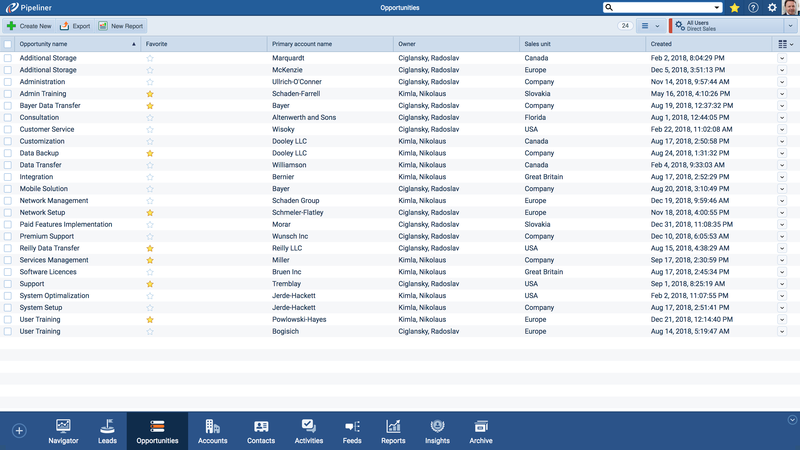 Pipeliner’s Auto-Profiling feature makes it easy for you to fill in contact data. Simply fill in an email address and Pipeliner will search out and add in picture, address, telephone, social accounts and more. Additionally you can see, right away, the last time this contact was contacted, and by whom. We also have a List View feature available for contacts. 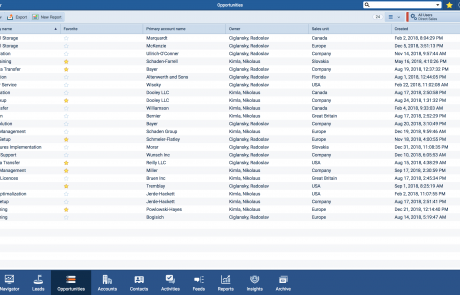 You can see your contacts in a column/row format, customizable for your particular needs. Make specific notes about a conversation, an account, an opportunity or a contact. Fully Integrated Mapping for CRM which includes Google Maps Integration, utilizing street address, city, and more.